Cylindrical 360° indoor panorama vision/uro_audiolab_panorama/panorama.jpg created from 8 images (see vision/uro_audiolab_panorama/raw) recorded with a Canon EOS 70D. The software hugin was been used to combine the images. The hugin configuration file is also provided at vision/uro-panorama/hugin_settings.pto . Fig. 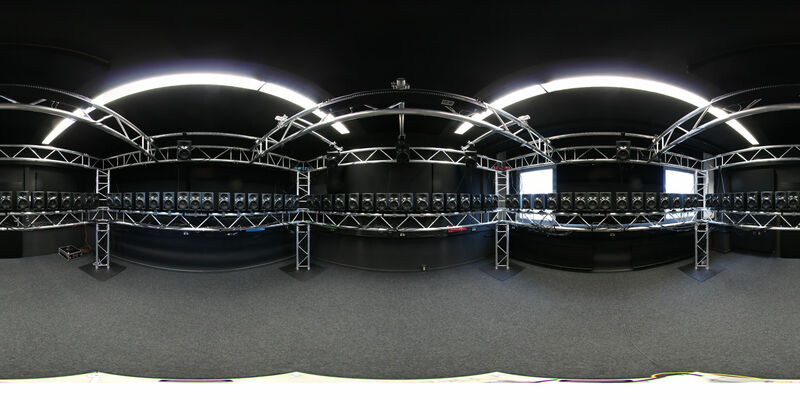 69 360° Panorama of the Audio Laboratory.